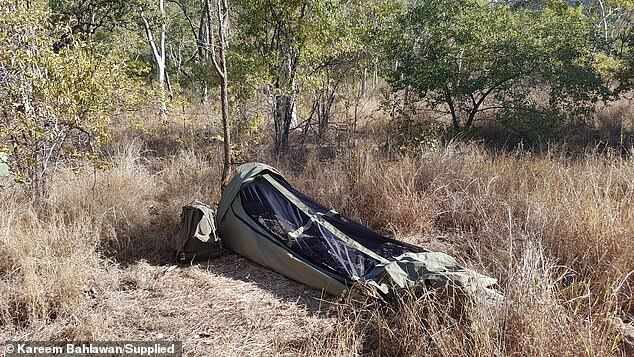 An international student slept in the bushes during his studies at university and swore it helped him get better grades. Kareem Bahlawan moved from Lebanon to Townsville, Queensland, to study marine biology at James Cook University. The 23-year-old said it seemed like a practical solution to sleep near the university. 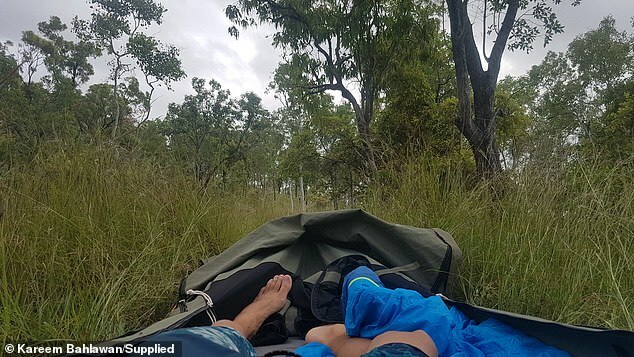 ‘I just spent all my time at uni and did not need to go home, so I thought why not just sleep at uni,’ he told the Townsville Bulletin. The postgraduate student dodged campus security and set up base in the bushes. 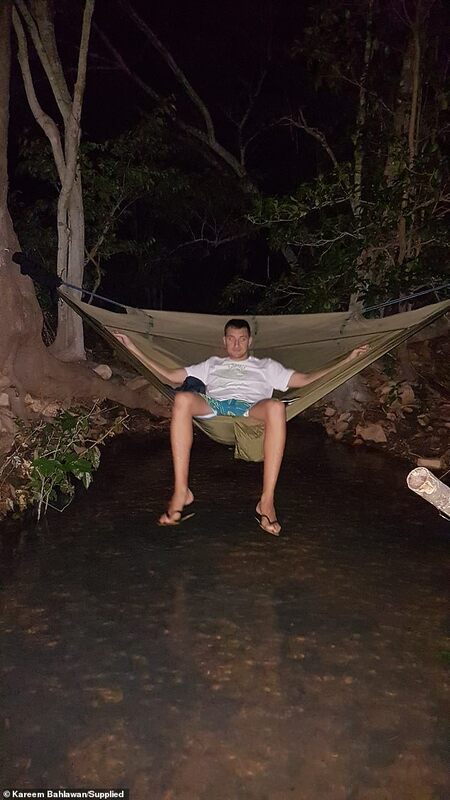 He started out using a hammock, so he wouldn’t leave his ‘mark’ on the grounds. Though the threat of mosquitoes led him to upgrade to a swag. His friends even suggested he sleep in the cool, airconditioned thesis labs during the hotter months. Mr Bahlawan took their advice and slept on a mattress and hide behind the tables when campus security came to inspect the room. To stay clean, Mr Bahlawan used the campus facilities. He showered himself and washed his clothes in the change rooms, and cooked his food in the staffroom kitchen. ‘I’d go to IGA and buy my food for the day and then go to the staff kitchen with all the lecturers and use their microwave and make my food with them,’ he said. Friend Abed Shawar admitted he was concerned for his friend and his way of life. He said he would worry about him when he dropped him off in the bushes at night. To make ends meet, Mr Bahlawan worked at casual dining restaurant Nando’s. He was also president the university’s Sustainability Club president. He would pick as much as he could from the community garden, to live off the land. According to Mr Bahlawan, the two-year-long period of ‘self-discipline’ led to improved grades. Without easy distractions like Netflix, he was able to focus on his studies to the point his marks scaled up to high distinctions. A James Cook University spokesperson said campus facilities like the kitchens and showers were for staff and students. They also said the university would be concerned for the student’s safety and wellbeing if they lived in similar conditions. High-level 24/7 security is provided across campus, with regular vehicle and foot patrols fielded at the university. 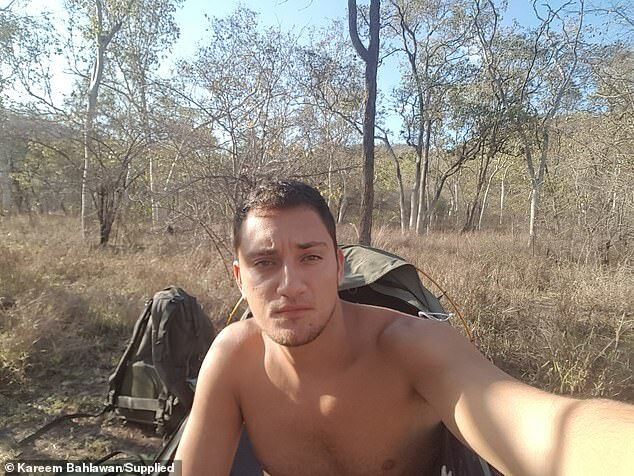 Mr Bahlawan is now done with living in the bush while he finishes his studies.